Designer Lina of LeMuse on Etsy has created some of the most exciting designs I have seen on Etsy. I want to thank and honor Lina with this Etsy Treasury I have curated, using items from her beautiful LeMuse shop. For the treasury, I chose 16 of my favorite pieces; there are many more to behold, including a couple of terrific jackets for men. I don't yet know Lina, who lives and works in Vilnias, Lithuania. Neither do I have any particular connection to her other than the fact that we both have Etsy shops. I simply love her clothes and am eager to share them. Here, I put together trio of images from my treasury in tribute to LeMuse (a sample). Each of the three photos is itself a link to Lina's LeMuse shop. These dresses and other clothes are so exciting! 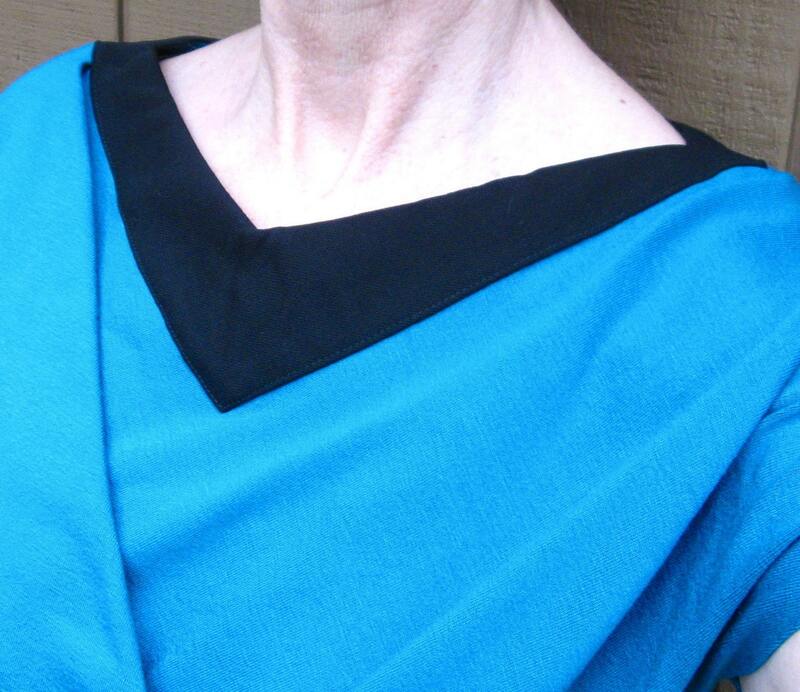 LeMuse is one of my Etsy heroes -- This entire treasury is a tribute to LeMuse. It is "almost illegal" because LeMuse designs (and their descriptions!) are so sensual and beautiful and tantalizing. But also because Etsy treasuries aren't supposed to contain items from only one shop! Throwing caution to the wind, I salute LaMuse! Don't worry, no one will catch you if you go right on to LeMuse! Your only problem, once you browse her entire shop, will be to decide which items to purchase. So? Buy several! You will see that the prices are amazingly low, and you will be wearing original designs, hand made to your specifications, in wonderful high quality natural fabrics. Morgan is making treasuries full of fabulous etsy items! My etsy partner Morgan Kraybill (together, we are KathleenMeetsMorgan) is curating collections of great etsy finds. Okay, well. One more . Oh honey, won't you bee-mine? Kathleen made a few treasuries too. Though they aren't as fun as Morgan's, they do show some awesome items by some of the hottest etsyers! 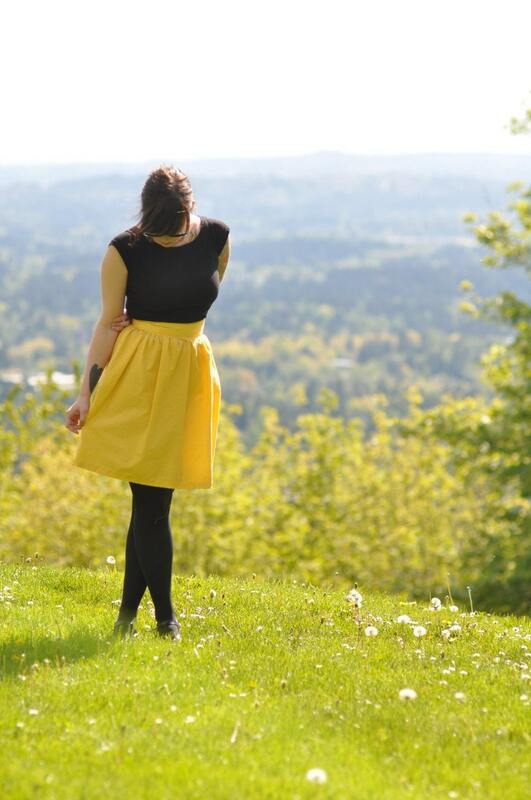 KathleenMeetsMorgan skirt is featured in a SHIHAR treasury! As if I didn't already LOVE "Studio SHIHAR" enough! 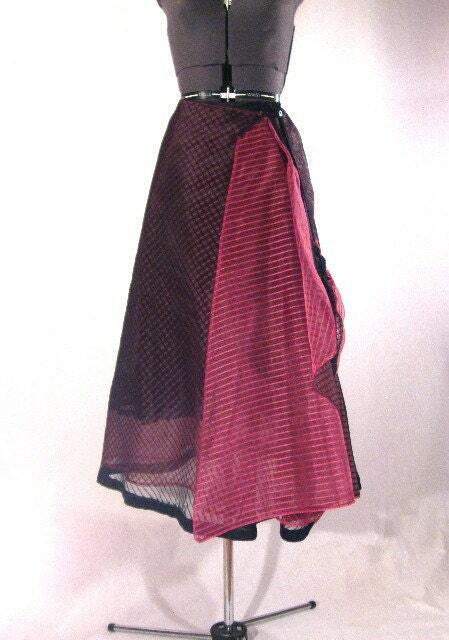 Shira featured my hot pink and black skirt in her newest treasury collection! 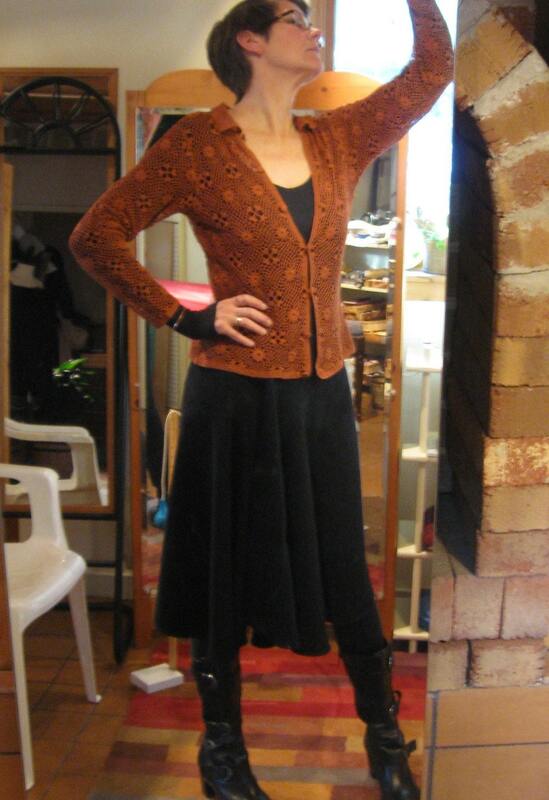 The skirt is one of my donations to Virginians For Alternatives to the Death Penalty-- all the proceeds from the sale of the skirt will go to this very worthy organization that engages in education and lobbying for transformation of Virginia's criminal justice system. Browse through the entire shop. 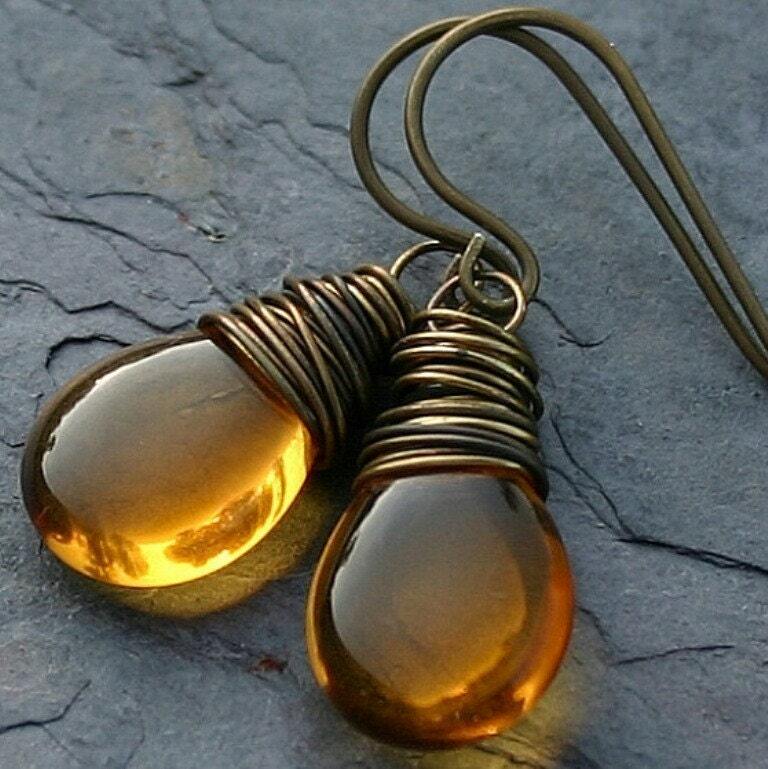 I think it is one of the very best shops out of the half-million shops in the etsy system! What a thrill for me! DOUBLE BLACK is my choice for an outfit, but what is yours? There are all sorts of options for you that are described in the shop's listing. 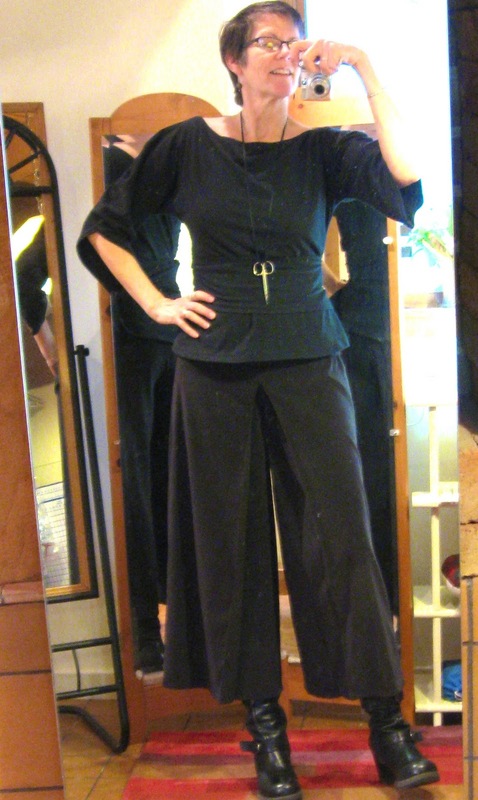 See what you'd like for YOUR version of either the wrap-around kimono style top or for the pleated gauchos. 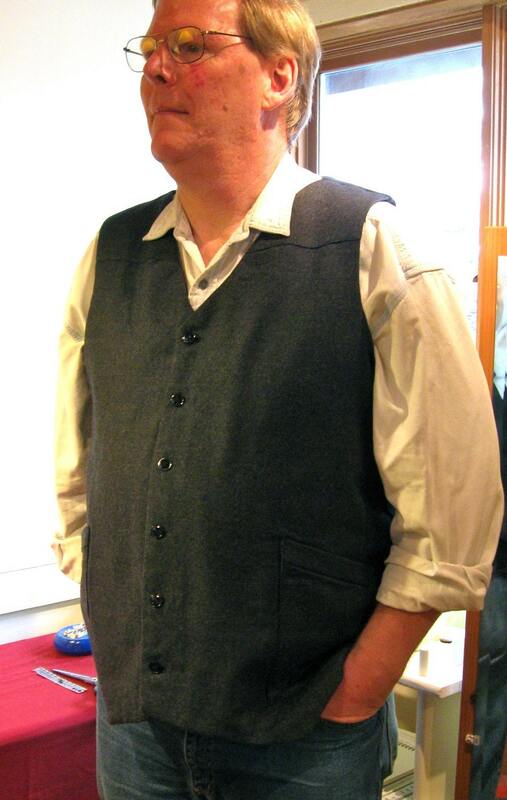 Ted saw a custom wool vest I made for one of my customers. "No", I said. "It would be way more than you could afford." Then I surprised him at Christmas. There haven't been very many days since I finished it that he hasn't worn it. I made this wedding gown for the beautiful Natanya. I thank her and also her photographer Christine Sweet for the images. http://www.facebook.com/photo.php?fbid=715428623219&set=a.715427844779.2333217.7816707, where you will find many more beautiful images. For more bridal ideas, see some of the other brides featured in my shop: www.KathleenTempleTailor.etsy.com. It's not too late for us to design together a wedding gown for your summertime wedding! 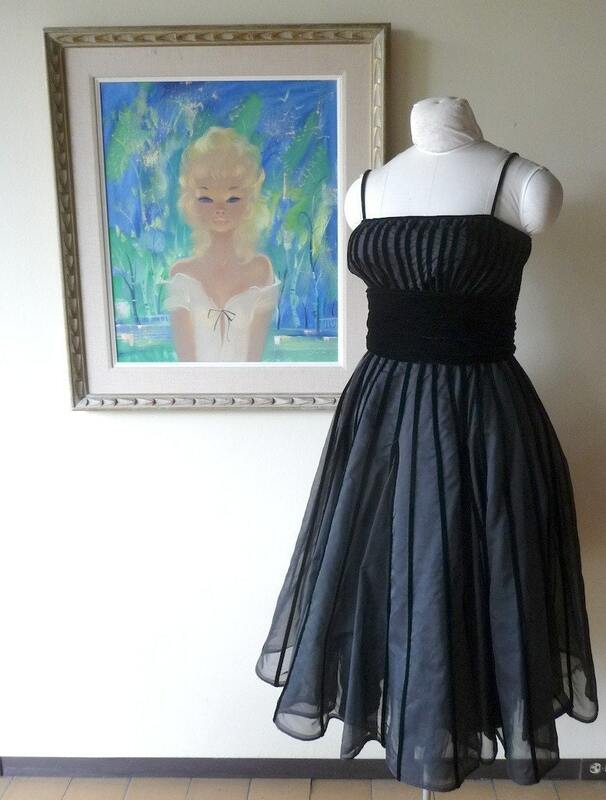 One of my great dresses was honored by being added to this lovely Etsy Treasury collection! 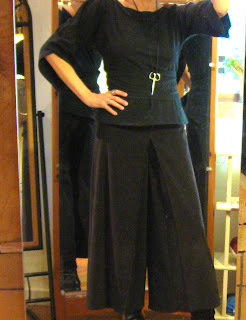 May I make some version of this skirt for you or for someone special to you? It is not full in the back, just in the front where it cascades from the one button at the waist. I call it my front-bustle skirt because it has a full drape in the side front area. It works for all sizes and shapes. Really, it does. I can use any color, any light to medium weight fabric. Shorter? Longer? Yes. You can order it through www.kathleentempletailor.etsy.com (it is there) or you can simply contact me and let's work out all the details. I would love to make skirts like this for all my peoples!! 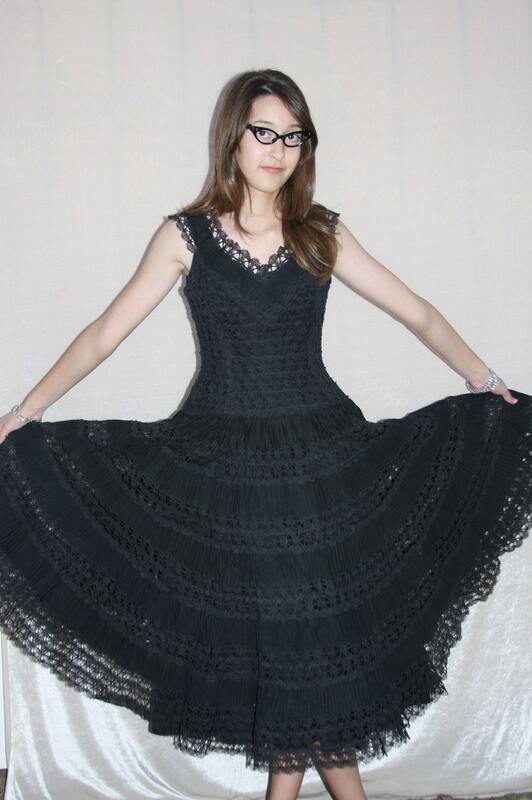 1950s black velvet stripe dress! 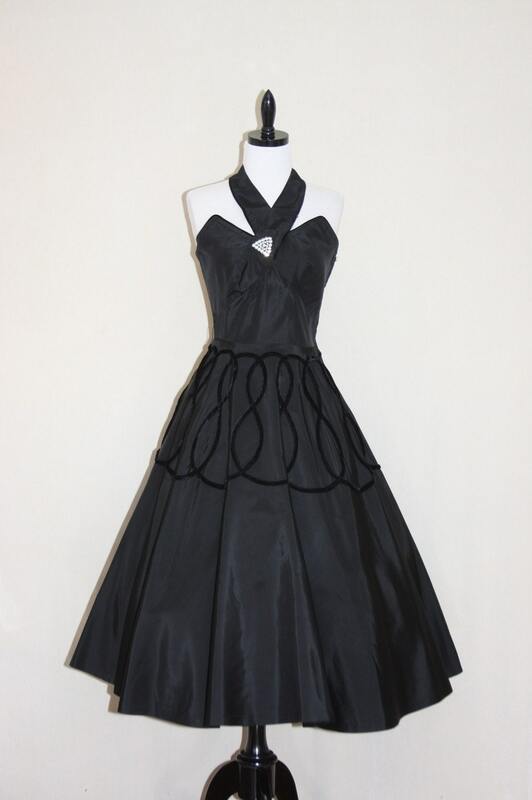 I say "more black dresses!" and this is what happens. There are some things of which this world needs more. BLACK DRESSES.